Control your shows from the comfort of your couch. All you need is your iPhone or an iPad. Download the app for free. All from the comfort of your sofa using your iPhone, iPad, or Apple Watch. 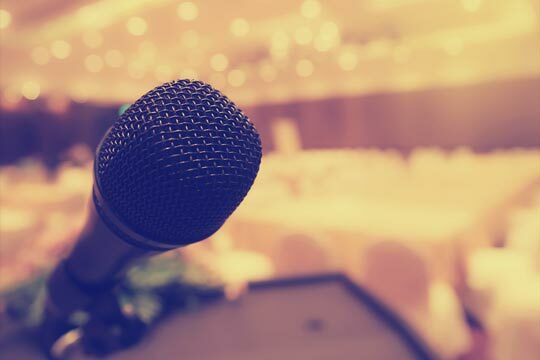 Having total control over your shows is as easy as 1-2-3. 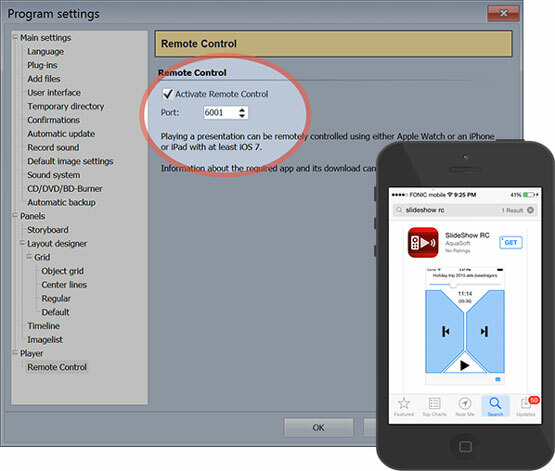 The remote control app is compatible with your iPhone, iPad, or Apple Watch with iOS version 7 or higher. The app is available from the iTunes Store. Your Apple device and computer on which the SlideShow/ Stages player is, needs to be on the same wifi network so that a connection can be established. Enable the remote control in the program under "Tools" - "Preferences" - "Player". Then start your show from within the SlideShow / Stages player and you can continue to control it from your Apple device. 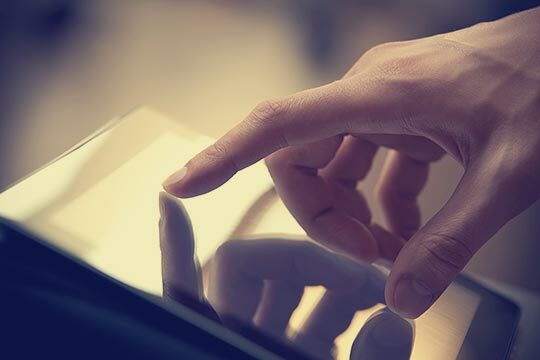 Whether together with friends and family in the living room or in front of a large audience with screen and projector - as long as the app is connected to your computer, you’re in full control. 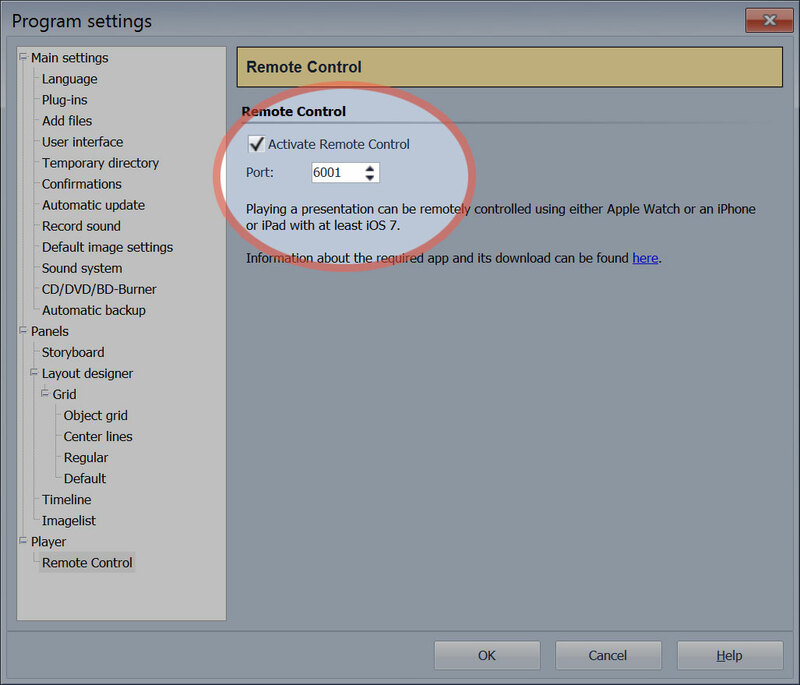 If you have installed the app on your Apple device, open SlideShow or Stages on your computer and navigate to Extras - Program Settings - Player - Remote Control (requires version 9 or newer). Put a check mark next to "Activate Remote Control" and then start playing your show. The firewall will ask you briefly, if you allow the app to access your computer. Now you’re in full control of the player via app. 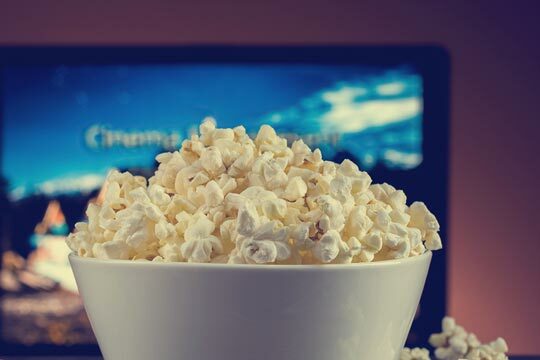 Of course, you can connect your computer to a TV or a projector, so that you have a large, sharp image of the highest quality. We are always available for questions and feedback!